Dr. Geoff Bloomquist was born in Princeton, New Jersey; however, grew up in the Greenville area after his family relocated when he was young. He attended Sara Collins Elementary School, Mauldin Middle School, and graduated from Mauldin High School in 2006. 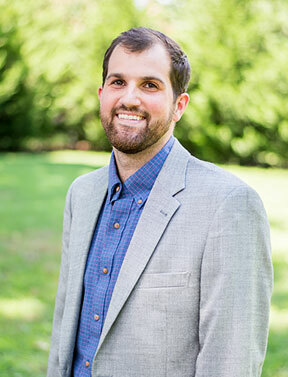 Dr. Bloomquist attended Clemson University; he received his Bachelor of Science in Microbiology in 2010 and was awarded The Faculty Scholarship Award, given to the student with the highest academic standing in their graduating class. Upon graduating from Clemson, Dr. Bloomquist attended the Medical University of South Carolina, earning his Doctorate of Dental Medicine in 2014. Prior to graduation, he was inducted into the Omicron Kappa Upsilon honor society. Following graduation from dental school, Dr. Bloomquist opted to continue his training with a general practice residency at Palmetto Health Richland in Columbia, SC. There he was trained in sedation dentistry, implant dentistry, oral surgery, cosmetic dentistry, and general restorative dentistry. Dr. Bloomquist is always excited to seek out ways to further his dental training by attending numerous continuing education meetings and participating in local study clubs. Dr. Bloomquist is a member of the American Dental Association, South Carolina Dental Association, and Academy of General Dentistry. Dr. Bloomquist is excited to return to the upstate with his wife, Alyssa, whom he met in high school and married in May 2014. Alyssa also attended Clemson University, where she ran for the Cross Country and Track teams. She was a six-time team ACC champion and two-time All American in the 3000-meter steeplechase. Following graduation from Clemson in 2012, Alyssa competed in the USA Olympic Trials in Eugene, Oregon. As a member of the Family Dental Health team, Dr. Bloomquist provides services such as IV sedation, surgical implant dentistry, wisdom teeth extractions, cosmetic dental treatment, and other comprehensive dental care. During his free time, Dr. Bloomquist enjoys spending time at the lake, attending Clemson sporting events, and enjoying the greater Greenville area with friends and family.